I first came across CEI Contract Manufacturing (AVV.SI) when am doing a random stock filtering. It appears in the top few position of my filtered list. After learning about its lucrative previous year dividend yield of more than 7%, I decided to dig in further and did a quick CNAV (Conservative Net Asset Value) Analysis. CEI Contract Manufacturing provides contract manufacturing services (including printed circuit board and box-build assembly services, as well as equipment design, cable harness assembly, and manufacturing services) to industrial equipment market in the United States, Europe, and Asia Pacific. Conclusion : From the price's perspective, it is traded above the CNAV2 and NAV and hence trading at premium. 1. From the beginning of the year 2016, CEI has increased 41% from $0.51 to $0.72 (last closed today). So, at the current level, it is kind of pricey (1.55 Price/Book). 3. As at 31 December 2015, the Group has orders on hand worth $49.0 million (31 December 2014: $59.8 million) most of which are expected to be fulfilled within the current financial year. 4. The company has declared a $0.052 dividend (7.2% Dividend Yield), to be paid on 27th Apr 2016 (XD on 12th Apr 2016). Click here for the pdf copy of CEI Contract Manufacturing's 2015 Annual Report! CEI Contract Manufacturing is definitely not a CNAV stock but I will still keep it in my watchlist for potential income play. Thanks for sharing your analysis! 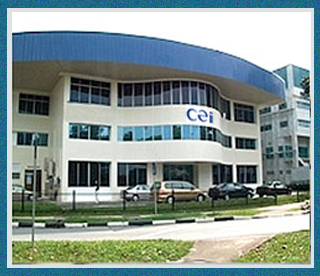 CEI caught my eye when it was around 60c but I haven't had the time to look into it. Too bad it zoomed already..
cei since i started investing in 2003 have been a "dividend stock" despite being in a low margin manufacturing industry. check out its dividend history. also check out its shareholders. also think if this improvement in results this year is a "one off"
Kyith : Thanks for the valuable input. Guess you are still holding the stock now? Is it consider a big portion of your portfolio? @uncle rich , one pt to note would be the source of contracts for this coy, and the sustainability of it , as the general manufacturing outlook isn't too bright , maybe can pick this up for a discount!